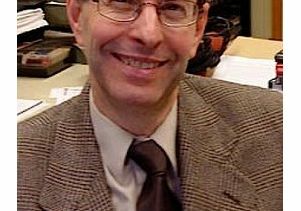 Steven L. Spiegel is professor of political Science and director of the Center for Middle East Development at UCLA, and also provides assistance to Middle East programs at the statewide Institute on Global Conflict and Cooperation of the UC San Diego.This op-ed appeared Aug. 20 in the Huffington Post. Israeli-Palestinian negotiations resumed last week. It may sound counterintuitive, but Secretary of State John Kerry and Special Envoy Martin Indyk should not want to be taken seriously and they should not want anyone discussing the talks. George Mitchell was regarded as a great hero, a man who had brought peace to Northern Ireland. Everyone held him in high regard as Special Envoy in President Obama's first term. The problem was that the opponents of a two-state solution in Israel and the West Bank took him most seriously of all. His mission is now an historical footnote. Because the spoilers play such an important role in Mideast diplomacy, mediators should want to be considered as pursuing a hopeless mission. Most observers wonder why Kerry is wasting his time. That's exactly what he should want. Underestimating mediators is a prize in the Middle East to be treasured. The best way to succeed is to have your effort be taken lightly and make sure secrecy prevails until an agreement has been reached. The Oslo Accords may not have succeeded in the long term, but the deal was only reached in the first place because almost no one knew what was happening in Norway. Secrecy is not a guarantee of success, but its absence is almost always a guarantee of failure. In 2000, for example, major leaks about both sides' positions in the Syrian-Israeli talks and later leaks about Israeli-Palestinian talks before Camp David helped to bury both efforts. Those who would conduct negotiations between Arabs and Israelis do not want to be regarded as effective and do not want publicity or leaks before a deal is announced. Most of all, they do not want participants in the talks to share information that suggests in any way that progress is being made. That's because if word of any achievements becomes public, the opposition will be energized and the bubble of any impending accord will likely collapse. There is always a temptation among diplomats to talk positively if there is progress, or to provide opinions to reporters, even off the record, that make it appear they are not wasting their time. That is very foolish. Those who lead negotiations should want to be seen as if they are not progressing. Indeed, this element of negotiations is so critical that American officials in the current Israeli-Palestinian talks should vigorously counter any indication of success, accurate or not, that might be leaked. If such a leak occurs, they should immediately produce negative countervailing information. If the leaks are accurate, they should lie in response if necessary. Secretary Kerry seems to understand these basic truths of negotiations because so far he has kept a surprisingly tight lid on the discussions. There is every indication that the well-regarded Martin Indyk will do the same. The problem is that in these days of public controversy and confrontation, supporters of the peace process will be discouraged if there are no signs of progress. If there are agreements, supporters will need to be energized in the region and in critical countries — especially the United States. For that reason negotiators often overcome their innate caution and talk too much. There are three ways they can resolve this problem without making the fatal mistake of impressing on the public that success is possible. First, supporters of the peace process must be encouraged to keep their belief in eventual success strong, no matter how bad the situation may appear. Second, supporters must be prepared "as a contingency" for eventual success, when they will be needed most. Third, negotiators must continuously argue bringing the two sides together is worthwhile, even if it seems doomed to failure. Trying to produce a peace process is an enormously complex enterprise even when both sides are strongly committed. But no one should forget how important it is to portray failure, even while convincing supporters that they should never give up. It's a contradictory enterprise, but it is essential to success. In early 1979, Jimmy Carter headed home from Jerusalem apparently having failed to reach a final deal between Israel and Egypt. On the way home, he made a "courtesy" call to President Sadat of Egypt to thank him for his efforts, or so it was thought. After the meeting at Cairo's international airport, Sadat and Carter emerged to announce that a deal had been reached and a peace treaty would be signed shortly in Washington. That's the way the professionals get peace; that's the way Kerry and Indyk should operate.